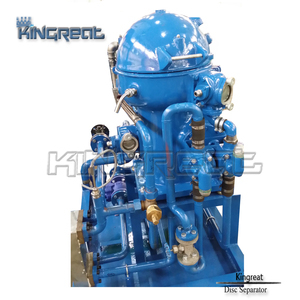 LXF Industrial High Speed Marine Fuel Oil Water Cleaning Centrifuge Separator Machine For Used Oil LXF series are mainly applied to marine mineral oil and land mineral oil purification. 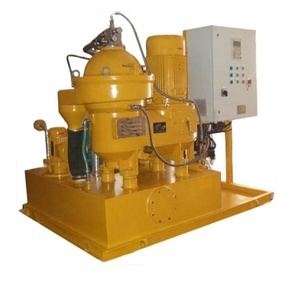 At present, the main application of that includes the treatment of marine diesel oil, marine heavy fuel oil, marine lubricating oil, land power plant lubricating oil, engine testing oil, gas turbine oil and crude oil etc. Purification, concentration, clarification of mineral oils (fuel, lubricating, turbine, hydraulic and work shop oils) used in marine installations and industries. It is used to clear solid and water from fuel oil in order to enlarge machine shelf life. We are sure that our high quality products and excellent service will attract more and more customers' appreciation. If you are interested in our products, please don't hesitate to contact us at any time. 10 YRS Jiangsu Huada Centrifuge Co., Ltd.
With big hinged cover, it is easy to clean the gap between the case and the basket. Platform base design lowers the center of gravity and requires minimum installation space. In the meantime, the motor is installed at the bottom of the machine, which requires minimum installation space. 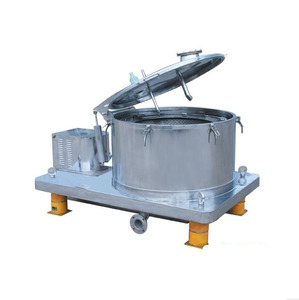 The upper part of the bowl is flexible mainshaft and the lower part of the bowl is damp floating bearing. You will also get technical support and service all the lifetime. You will be able to get free training advice towards our machine in our factory. 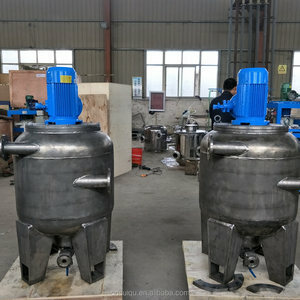 FL-80 manual milk centrifugal separator, possesses manual transmission device with productivity no less than 80 liters/hour. 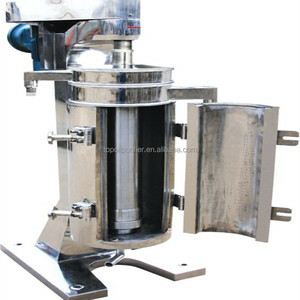 The separator is used to separate pure milk into whipped cream and skim milk, and remove impurities. If you interested, please contact us at any time. 4 YRS Shanghai Xieling Automation Technology Co., Ltd.
5. We can also customize the filter bag according to your materials. 2) Confirm the nearest port to your location and provide delivery cost for your reference. If there is something wrong with the quality, we promise change one for you for free. The solids is collected in the periphery, from where it is discharged intermittently into the solids collecting cover. The heavy phase is led over a top disc into a chamber where a paring device pumps it out of the separator. 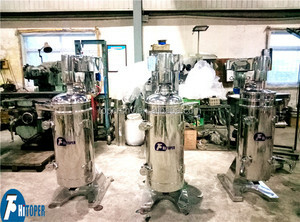 One is used for solids and two liquid phases from each other in one single continuous process, it is so called purifier. 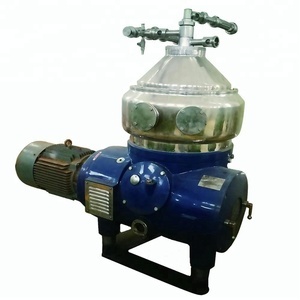 Alibaba.com offers 10,117 centrifugal separator oil products. About 81% of these are separation equipment, 3% are machine oil purifier, and 1% are pumps. A wide variety of centrifugal separator oil options are available to you, such as free samples, paid samples. 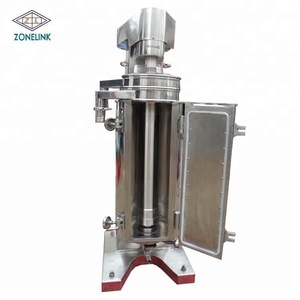 There are 10,117 centrifugal separator oil suppliers, mainly located in Asia. 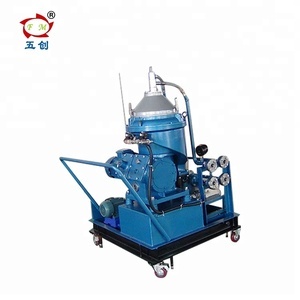 The top supplying country is China (Mainland), which supply 100% of centrifugal separator oil respectively. 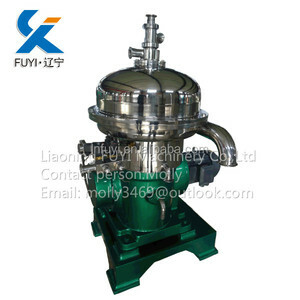 Centrifugal separator oil products are most popular in Domestic Market, Southeast Asia, and South America.